Despite the fact that there are countless hilarious and extremely talented female comedians out there — Chelsea Handler, Tina Fey, Amy Poehler, Amy Schumer and Jessica Williams, to name a few — the women of comedy are still having a seemingly impossible time competing with their male counterparts. In fact, after it was publicized that Craig Ferguson of CBS’ Late Late Show would be exiting his role as a host on the late night show, a male — not shocking — replaced him. 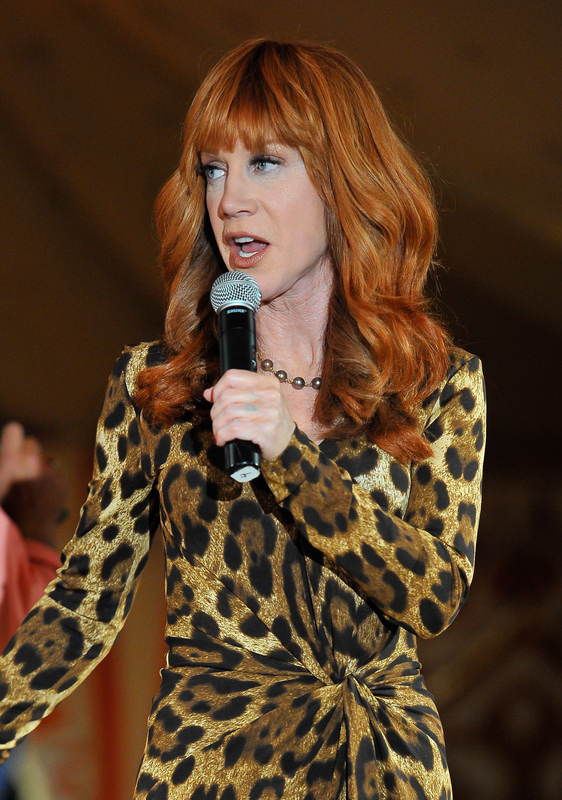 More startling, though, is the fact that female comedian Kathy Griffin now claims that CBS didn’t even consider a female host for Late Late Show when they were considering who should take over. Understandably, Griffin was and still is POed that representatives of CBS might have actually admitted they weren’t even interested in featuring a female host for the part. Not to mention it’s pretty insulting that using The Talk — one of very few female talk shows, which isn’t focused on a single host by the way — as a reason not to allow women into the mix. CBS has their own version of the story, saying Griffin's statement is false. CBS issued a statement late Saturday, saying: "CBS never said that to Kathy Griffin; never met with her, and in fact, we did meet with several female candidates."